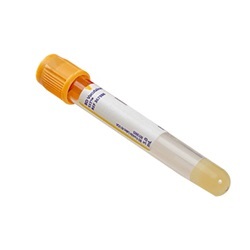 BD Vacutainer Plus is a gold coded 5ml blood collection serum tube that measures 13 x 100mm. 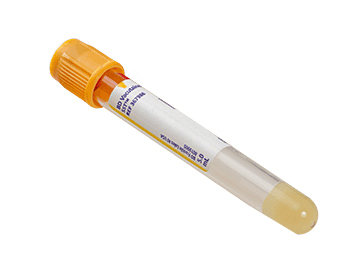 Sterile, clear, plastic silicone coated tube with clot activator/separator gel additives. BD Hemogard closure helps to protect lab personnel from contact with blood. Manufactured by BD. Comes 100 per box.